Sundale’s Laundry Service was set up to care for the community of elders in Sundale’s care centres. Word soon got out about their expertise in laundering flat linen and clothing. 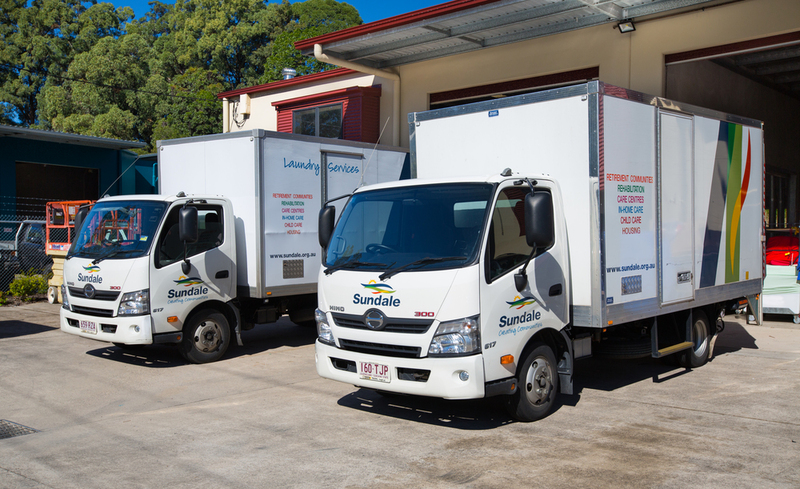 Medical centres, boutique hotels and many other Sunshine Coast commercial customers now trust Sundale Laundry to deliver consistently high standards of cleanliness and reliability. Sundale Laundry came to existence in 1996 when Sundale’s staff thought their residents deserved a better laundry standard than an external supplier could provide. Sundale Laundry Service's were established to bring this better laundry standard to the 430 elders in the Sundale Communities. Pretty soon medical and rehabilitation centres were asking if they could have specialty items such as rehabilitation mats and walk belts laundered to Sundale’s standards and soon more orders followed from the medical and care sector. 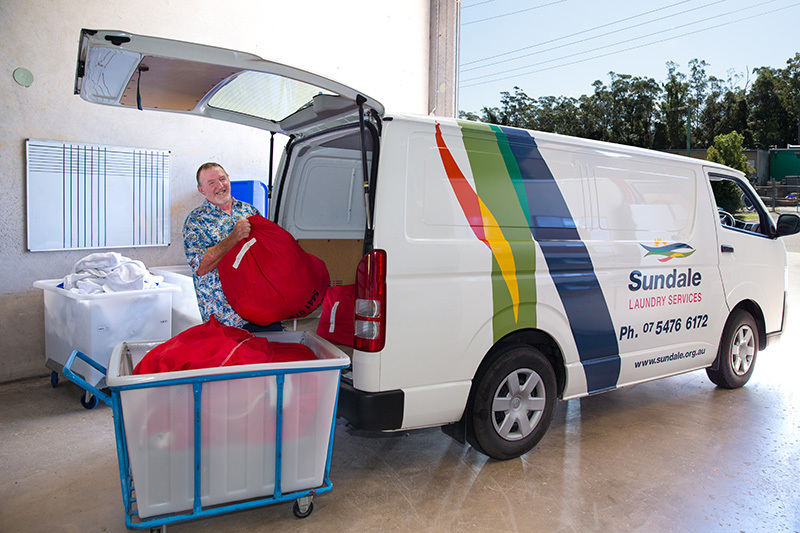 Boutique accommodation providers determined Sundale’s Laundry services provided greater value which meant new and expanded facilities were opened in Kunda Park. 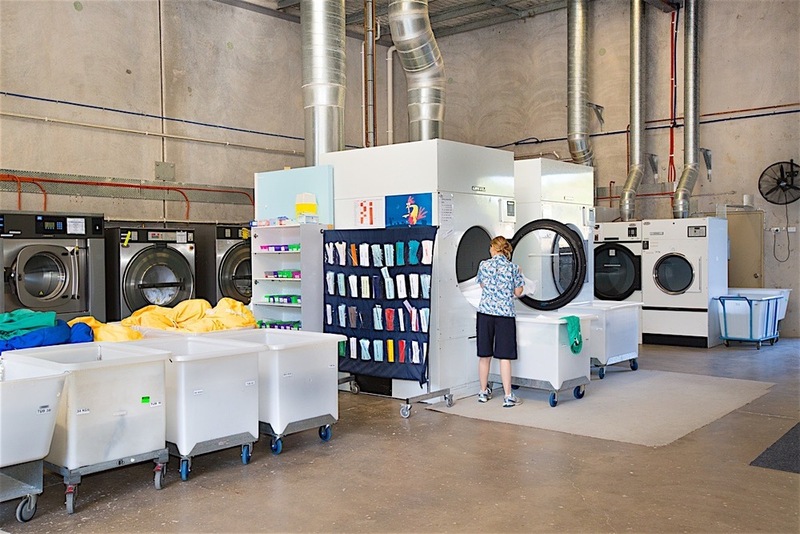 The gleaming new facilities now employ the latest high speed, high capacity washing machines, commercial driers and linen ironers. Sundale’s Laundry Service also recognises the importance of reducing the opertions carbon footprint by exploring options to reduce water and energy consumption. Recycling initiatives and energy saving initiatives including the use of solar are being explored. 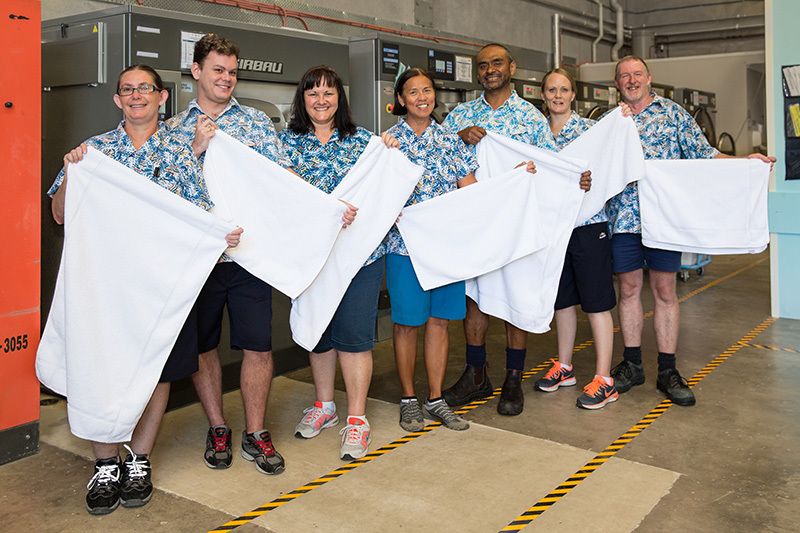 Our aim is to be the first totally “Green” laundry in Australia by working with all our stakeholders to achieve the goal. It is our mission that “the laundry must get through” so we have backup power generators and can operate through blackouts and storms.